ViteLift is our new miraculous serum specially formulated with a complex blend of 5 peptides to instantly tighten and lift skin for an immediate and visible face lift! This remarkable serum helps diminish wrinkles and fine lines - instantly - giving you the appearance of having erased years off your face. The powerful lifting and tightening ingredients in ViteLift deliver visually stunning and immediate results. The proprietary blend of 5 peptides has been chosen for their ability to penetrate deeply into the cells and decrease facial tension and instantly create the illusion of age reversal. Along with the 5 peptides, ViteLift is infused with Hyaluronic Acid to help hydrate and bind to moisture which provides structural support for cells, further helping restore full and youthful appearance to the face. And, to help defend your skin from environmental damage that contribute to aging and damage, ViteLift formula includes Acai Fruit Extract as the antioxidant shield for your face. To instantly tighten and lift skin for immediate, younger looking appearance. Apply a very small amount to clean skin with fingertips and smooth over wrinkles on forehead, around eyes, or any other areas. Do Not Rub. Allow to dry thoroughly. Do Not Rub. Keep face expressionless until dry. If white residue is visible, smooth over that area with damp finger. May be used morning and evening or as needed. Purified Water (Aqua), Sodium Silicate, Magnesium Aluminum Silicate, Euterpe Oleracea (Acai) Fruit Extract, Perilla Frutescens Extract, Quercus Alba Bark Extract, Propane-1,2-diol, Chondrus Crispus (Seaweed) Extract, Hyaluronic Acid, Acetyl Hexapeptide-8, Pentapeptide-18, Dipeptide Diaminobutyroyl Benzylamide Diacetate, Acetyl Octapeptide-3, Palmitoyl Tripeptide-1, Palmitoyl Tetrapeptide-7, Cellulose Gum, Phenoxyethanol, Ethylhexylglycerin. 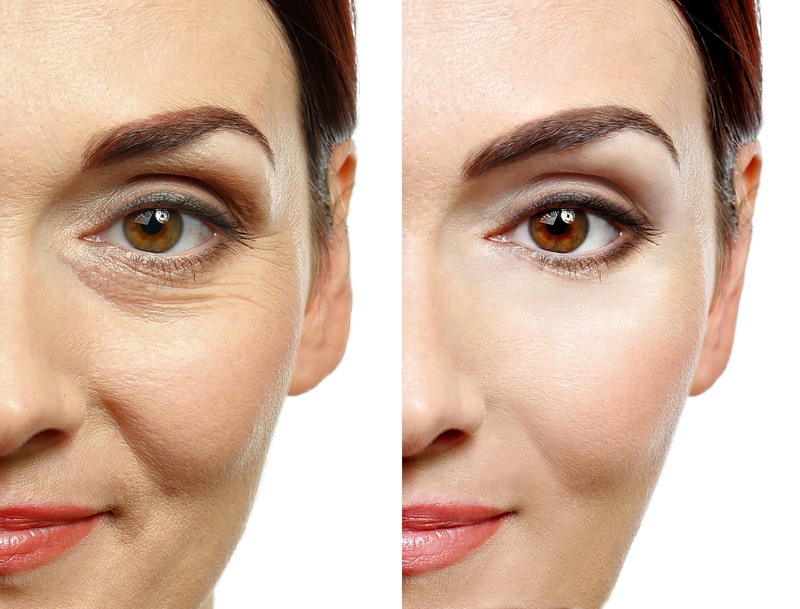 ViteLift Serum - Instant Face Lift in a Bottle!